Located on the stunning Jurassic Coast in Dorset, we are an award-winning Beacon status college consistently scoring above average results in the National Student Survey. Large enough to offer choice and diversity - yet small enough to welcome you as part of a friendly community - we provide outstanding facilities that make your student experience with us both rewarding and enjoyable. Our highly qualified course teams have strong links with professional organisations in their respective industries and we have a tremendous track record of graduates progressing to further study or gaining employment in their chosen careers. 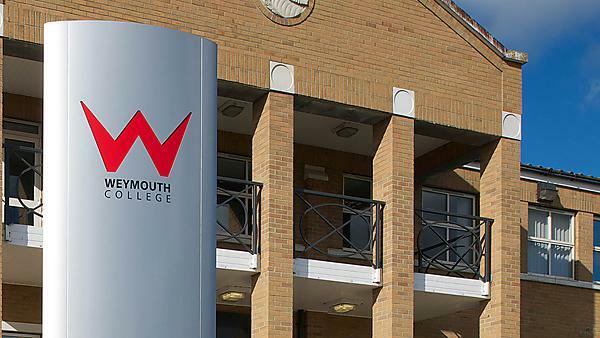 To find out what else we can offer, visit the Weymouth College website. Interested in studying at Weymouth College? Find out more about what we've got to offer and how your education can thrive with us.